We were so pleased to receive our pictures last week and honestly, it took us right back to our special day six weeks ago. We love that our photos arrived in a package that we had to unwrap and that not only did we receive our photos on a USB, but that it came in the nicest presentation box with a selection of printed photographs - actual photographs. I love that you did it because so many of the photos people take today are just kept digitally and it was just a classic touch that we both loved. Going through our photos took a while because we wanted to really look at every single one as they're all amazing, but it was worth it and so wonderful to relive our big day and to see the moments that we either forgot about or missed as we were so caught up in the day. We are both not the type of people who enjoy having our photo taken but you made the experience bearable and it was really like having a friend at the wedding taking photos more than anything. You made us both feel comfortable and calm right from the beginning - apart from when Priya kept running away from you at the beginning which was nothing to do with you, she swears! You fitted right in at the wedding and were so much fun to have around on the day - and every single picture that we've been sent is amazing in its own way. Our favourite photos are the 'in the moment' shots - so someone laughing at a joke, either of us smiling at each other, etc those pictures convey all the happy emotions of the day. And it was the happiest of days for us. Thank you Ed for being part of our special day. 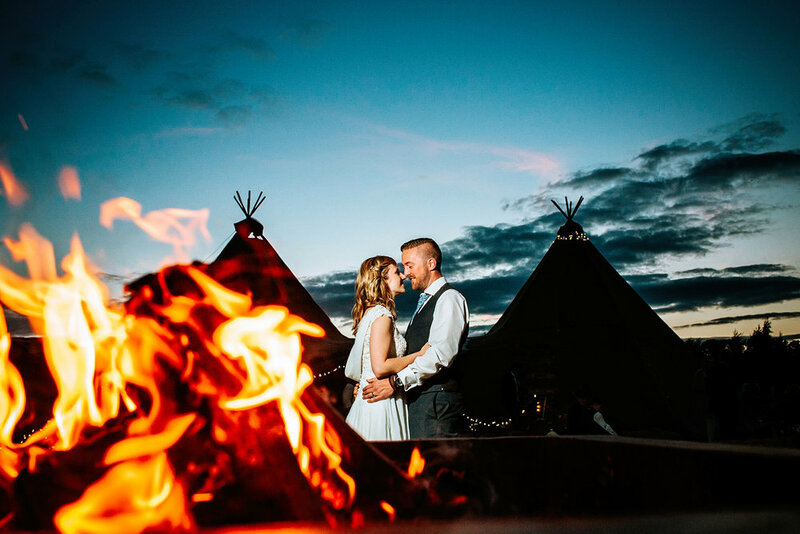 A wonderful email to receive from Natalie and Paul's chilled tipi wedding at Alcott. WOW, what can we say!? We had such an amazing evening last night looking through all of our images. They are stunning - we really can’t thank you enough. We think they really capture the happy, chilled out vibe of the day and it was fantastic to be able to relive it (and see the bits that we couldn’t see while we were mingling!). 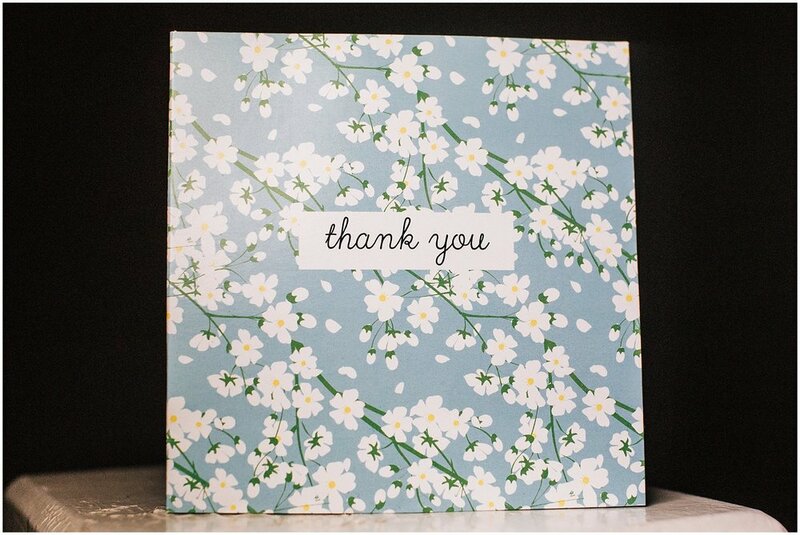 You have done a fantastic job with them! There were many that made us shed a tear or gasp that they were really us and it was really our special day, so we were pretty emotional. Words really don’t describe how much we love them and we can’t wait for everyone to see them (we are showing them to family today and tomorrow and then will send them out to all of our guests - I literally could look at them all day!). I mean - pure genius... the ones through the fire and from the other side of the lakes...staggeringly amazing. We’d seen quite a lot of photographers before we came to meet you and you instantly set us at ease - we felt like you’d fit in with our wedding and deliver in capturing amazing photos - you have done both. Thank you so so so much. We really can’t say thank you enough. 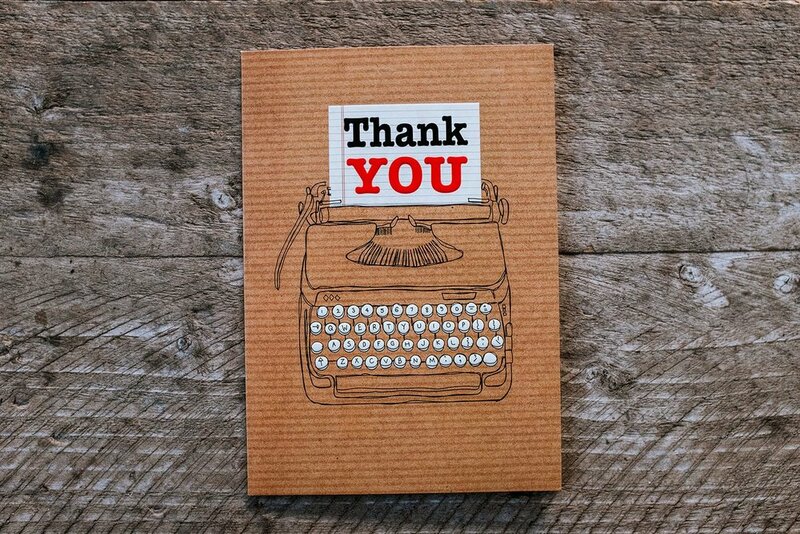 A lovely thank you card from Nat at Yummy Little Cakes who makes the most artistic and fabulous wedding cakes for couples who love all things contemporary and stylish. 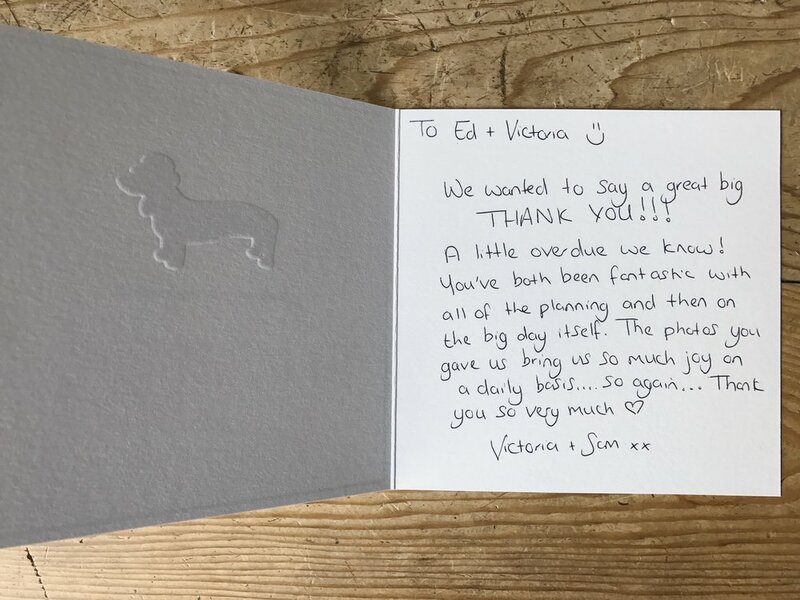 A lovely thank you card from Richard and Lynn at the beautiful Bawdon Lodge Farm nestled in the heart of the Charnwood Forest near to Loughborough. We recently photographed the emotional and beautiful wedding of Clare and Darren at Mythe Barn. This just landed in our inbox and we just wanted to share it. We have just returned from holiday and I wanted to send a quick message of heartfelt thanks to you for all you did to make our wedding day that bit more special than we could have hoped for. Your calm, happy sincerity was just perfect and we enjoyed sharing our day with you so much. 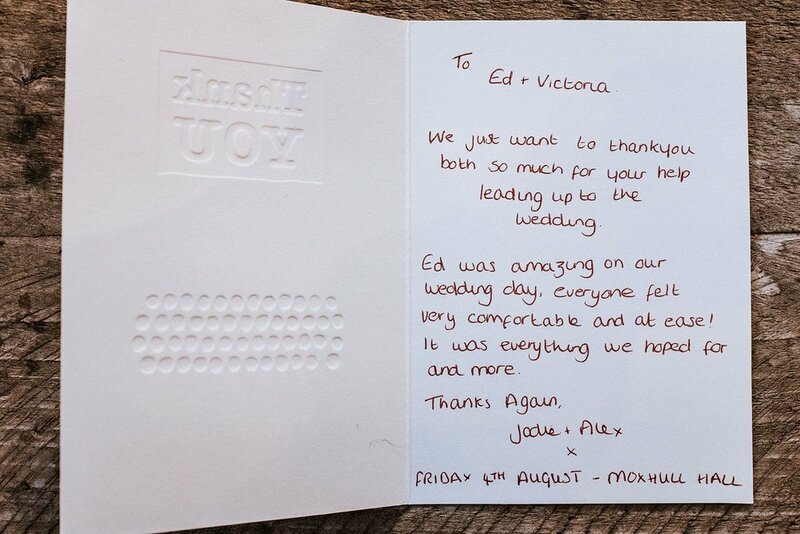 It was fab to receive such a lovely and thoughtful gift from Jade and Sophie at On a day like this, Wedding & Events venue styling specialists, for being part of their amazing 3 day styled shoots all based in fantastic Nottingham wedding venues. It was awesome to work with Jade and Sophie, they are so talented, creative and forward thinking. I believe that when you find ‘the one’ you just know. I’m not just talking soulmates, life in general. If you’re shopping for shoes, you can be out all day and not find anything or go into the first shop and know they’re the one.